How you communicate can make a real difference in how well you manage your tenancies. By communicating effectively with your tenants, you can strengthen your tenant relationships and resolve issues in ways that will increase your profits and make landlording easier. Presented below are five features of effective communication. Worksheets are provided, along with suggested phrases to try out, to help you solve tenancy problems more effectively and get better results. How can you use your anger most constructively when your feelings are overwhelming you? Imagine your tenant avoiding contact knowing he owes the back rent — or preventing access at the moment you need it to make a repair. We know how overpowering is the urge in these moments to lash out. But if we speak when we’re angry, we may make the best speech we’ll ever regret!” A more deliberate approach, namely to pause before taking action, can make it most likely you’ll get the outcome you want while strengthening relationships as well. Pausing means to NOT take action – in word or deed – for a moment or longer to avoid being provoked by the conflict. Instead, by resisting the impulse to act, you can buy time needed to collect your thoughts, analyze the situation, consider your options, and pursue the best strategy for responding effectively. Sometimes the toughest part of working out a problem is trying to find the right way to say something so that people will keep talking! Active listening involves listening with all senses. It involves fully concentrating on what is being said rather than passively hearing the speaker’s message. To succeed at active listening, it is also important for the speaker to see you as listening in order to validate that what the speaker is saying does matter. Although using words and phrases that suit your individual style may be easier, experimenting with the sample language presented below can give you some ideas to work with. Combined with effective listening, asking good questions can help you to: build trust, focus on the right problem, get the information you need, and reach solutions that will actually work. Getting a clearer understanding of the situation, using the questioning skills introduced below, can enhance problem solving and success as a landlord. 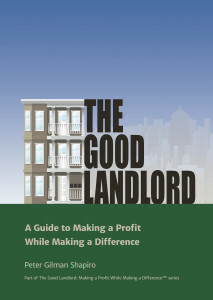 Many landlords – all of for that matter — approach disputes by stating and then defending our positions until we win or lose the fight. Although this approach may be necessary when tenancy breaches occur that can’t be corrected, in other cases landlords can do better by pursuing interest-based negotiation as a first step. The information below can help you to shift from positions to interests when it’s needed to enhance success. Landlords can still assert their demands and pursue them if interest-based negotiation doesn’t work. Worksheet: https://form.jotform.com/63051739239156. Press SUBMIT at the end and the form will be emailed to you. When each party focuses solely on his or her own goals when negotiating, each can get locked into rigid positions, making it less likely that agreements can be reached. How can two parties avoid this? Reframing can help by making each party’s statements understandable such that solutions can be reached that respect the law and are satisfactory to both. The information below describes reframing in more detail and how to do it. Worksheet: https://form.jotform.com/63051508497156 Press SUBMIT at the end and the form will be emailed to you.